Having trouble with your feet or lower limbs? Call us on 3260 7225 for an appointment, or book online 24/7 booking portal. We are open 6 days a week, Monday to Saturday and located within the Toombul Shopping Centre on Sandgate Road. Holly graduated from Queensland University of Technology in 2006. She then went on to complete her post graduate qualifications in prolotherapy and further postgraduate study in diabetes. Holly is interested in all aspects of podiatry, however has a particular interest in diabetic care, dermatology and paediatric podiatry, as well as being licensed in Pinpointe Laser for fungal nail infections. Holly has a number of articles published for local newspapers which she has written, in addition to having volunteered for Oxfam Trailwalker and Bridge to Brisbane as a Podiatrist. In 2001, Jason graduated from Queensland University of Technology with a Bachelor of Health Science – Podiatry. He takes a person-centred approach with all of his patients and has been an asset to the Walk Without Pain team since 2003. Jason is available for home visits to treat patients who are unable to be treated at the clinic due to disability. He is passionate about all aspects of podiatry; however, has a particular focus on paediatrics, diabetes and sports/biomechanics. Jason is a family man who spends his spare time spending time with his wife and two boys hiking, camping, kicking a soccer ball or walking their family’s dog. Joe recently joined Walk Without Pain and has previously worked in private practice on the Gold Coast. He has worked in clinics with a strong focus on biomechanics and orthotic therapies. Joe graduated from Queensland University of Technology in 2014 and holds the Philip R Perlman prize in podiatric radiology from 2013. His main interests are in nail surgery, orthotic therapy and injection therapies. Joe is enjoying use of diagnostic ultrasound and further training to broaden his scope of practice. In 2009, Megan graduated from Queensland University of Technology with a Bachelor of Health Science, Podiatry. She commenced working at Walk Without Pain prior to her graduation and has become an asset to the team. In addition to her initial degree, Megan also has completed a Graduate Certificate in Podiatry Therapeutics 2016 as well as a Prolotherapy course 2018. Megan’s enjoys all aspects of podiatry, but has particular interest in Biomechanical, orthotics, nail surgeries, diabetes, wound care, general chiropody, extracorporeal shockwave machine and is licensed in the use of the Pinpointe laser for fungal nail infections. The Podiatrist Banyo clinic is equipped with disabled access and is wheelchair friendly. Looking after your feet is so important if you want to ensure that you can live your life to the fullest. If anything goes wrong with your feet then your mobility is immediate compromised. This can lead to all sorts of problems, everything from loss of income to a poor self-image and an inability to focus on completing your daily chores. Fortunately, those in need of a podiatrist in Banyo not only have a team of world-class podiatrists on their doorstep but treatments that are much more affordable and economical than the majority of other practitioners in Brisbane. Here at Walk Without Pain podiatry clinics, we love helping people that are experiencing discomfort, pain or have failed to find solutions to foot conditions that have held them back for years. With nine foot specialists working for the Brisbane community, we come with a combined experience that spans well over a century. You can feel confident in our ability to seek long-lasting solutions no matter what your foot, ankle or lower limb issue is. 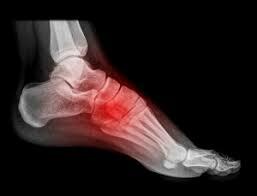 The good news is that many of the problems that present in your feet can be fixed completely. For those that can’t be cured, immense relief can be still be achieved for much more serious and complex issues such as rheumatoid arthritis once foot function is addressed to be more efficient. There are many different ways a podiatrist can bring relief to your life. The obvious one is by fixing your foot problems, and that does not specifically mean just the big stuff. Everything from fungal nail infections to ingrown toenails, skin issues such as plantar warts and even complications arising from the feet, such as shin splints all can be rectified by proper treatment. Those that were once sports fanatics and loved to engage and compete in this regard but have had to limit or completely stop sporting activity as a result of pain in their feet, ankles and legs could find a new lease of life after a visit to the podiatrist. Banyo residents that incurred injuries through sports are encouraged to give their full recovery a second chance. By focusing on the foot and perhaps tailoring orthotics to their foot structure, they may find that running, walking and living is much more enjoyable again. If you are someone that is serious about the health of your feet, then booking regular check-ups with the team at Walk Without Pain is a great way to be proactive about future problems presenting. Diabetics, in particular, are prone to nerve trouble and so engaging the services of a podiatric foot specialist is a great way of stemming any secondary issues and maintaining a good standard of living. Naturally, having seen all kinds of feet, here at Walk Without Pain, we are perfectly placed to give you good advice about how best to look after the hygiene of your feet. This equips you with the knowledge to look after your own feet and take preventative measures to ensure that you never see the same issues repeat again. We love to make pain go away – no matter whether you are a sports star with a hard won injury, or a regular walker that cannot bear the discomfort of an ingrown toenail. Our services are open to all and we endeavour to deliver a level of care and professionalism that will exceed your expectations and enable you to get the best from your feet. Bookings can be made online, 24/7, and our clinics offer out of hours appointments to complement the treatments on offer Monday to Saturday. So, what are you waiting for? With the best podiatrist facilities for Banyo, we are ready, willing and able to change your life immeasurably. Embrace the possibilities and get in touch today. We provide bulk bill podiatrist in Brisbane with just a small out of pocket fee including plantar fasciitis treatment and shin splints treatment. Speak with one of our specialists today to find out more.